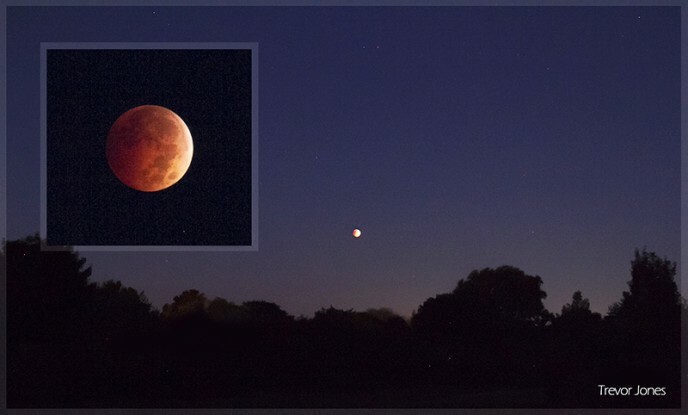 Are you hoping to capture a photo of the total lunar eclipse on January 20, 2019? If so, you are not alone. Amateur photographers and astrophotography enthusiasts around the world will do their best to take a pictures of the lunar eclipse in January using a wide variety of camera equipment. These days, every full moon and lunar eclipse has some sort of epic name attached to it, and the total lunar eclipse in January 2019 is no different. 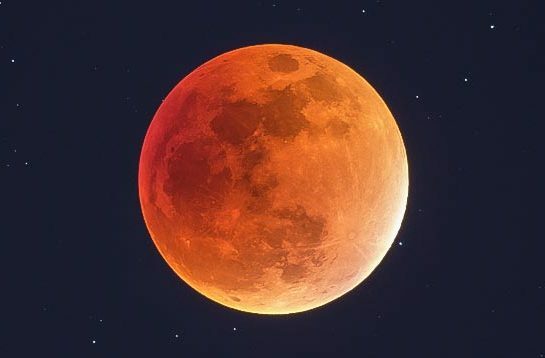 The media has nicknamed this astronomical event the Super Blood Wolf Moon 2019. That’s right, don’t forget to add the “Super”. Catchy names aside, a total eclipse of the moon is a truly breath-taking astronomical event that anyone can appreciate. Over the years, I have photographed a number of total lunar eclipses, and I plan to do so again on January 20, 2019. There are many ways to photograph the total lunar eclipse this January, but for the best results I recommend using a DSLR camera and a small refractor telescope on a tracking mount. 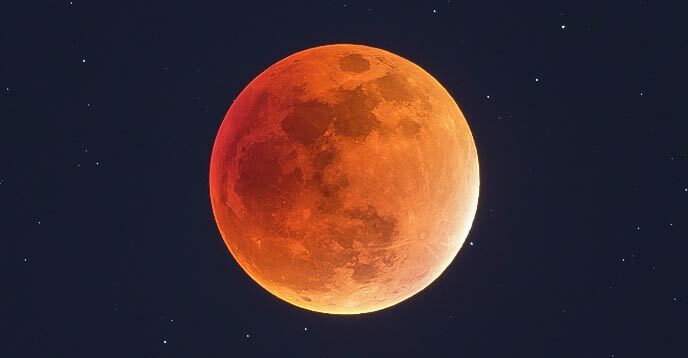 The total lunar eclipse on January 20-21, 2019 is the only total eclipse of the moon in 2019 around the world, with a partial lunar eclipse happening on July 16 in isolated parts of the world. To capture a detailed portrait of the moon like the image above, a long focal length and a tracking equatorial mount are required. However, it is also possible to produce a comparable close-up image using a digital camera or smartphone through the eyepiece of a non-tracking telescope using the eyepiece projection method. In this post, I’ll share some tips for photographing this celestial event using both basic and advanced astrophotography equipment. Do you understand why a lunar eclipse happens? There are two types of lunar eclipses: partial and total. I am happy to say that the event on January 20-21 is the extra exciting one. As you know, the Earth orbits the sun, and the moon orbits the Earth. During a total lunar eclipse, the Earth is sitting directly between the sun and the moon. Although the moon is being covered in Earths shadow, some sunlight still reaches the moon. 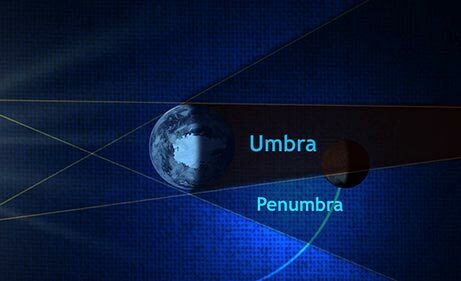 When the moon enters the central umbra shadow of the Earth, it turns red and dim. This distinctive “blood” color is due to the fact that the sunlight is passing through Earth’s atmosphere to light up the disk of the moon. Unlike a solar eclipse, observing a total lunar eclipse is completely safe to do with the naked eye. 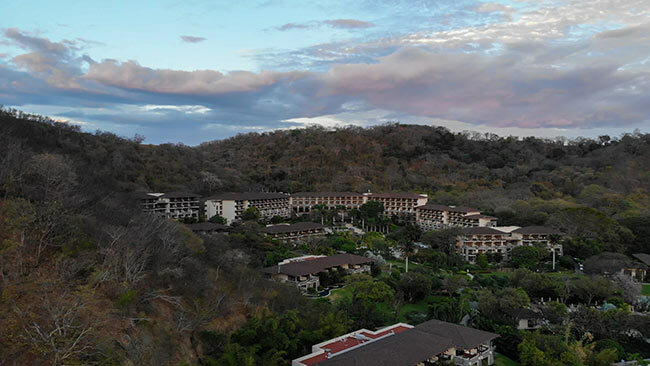 This natural phenomenon can be enjoyed without the aid of any optical instruments, although binoculars can really help to get an up-close view of the action. 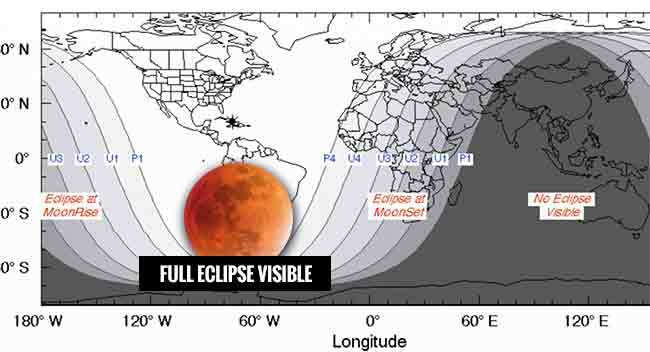 The total lunar eclipse will take place on January 20-21, 2019, with the total phase visible from North and South America. From my vantage point in Ontario, Canada, the maximum eclipse will occur at 12:15am on January 21. To find out when the total lunar eclipse will take place from your location, you can check out this eclipse map on Timeanddate.com. The maximum eclipse stage is when most photographers want a great shot. This is when the the moon turns “blood” red and the surrounding night sky becomes much darker from our point of view on Earth. It is an unforgettable experience for those lucky enough to witness this moment. An interesting thing happens when the moon is completely eclipsed by the shadow of Earth. Not only does the moon turn to an eerie reddish hue, but the stars and constellations surrounding the moon begin to appear as they would on a moonless night. Capturing a scene like this requires careful planning and execution. All of the methods described above are capable of incredible lunar eclipse photos. 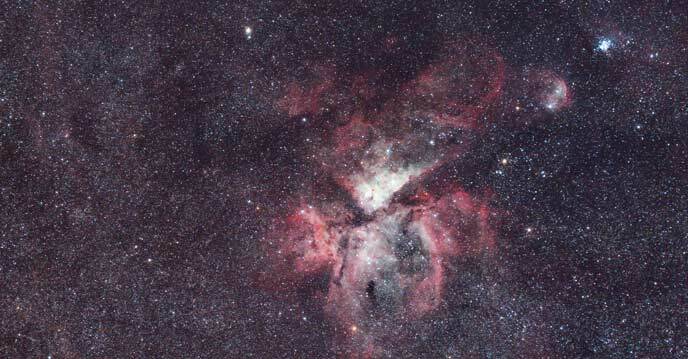 However, the ones that leverage the full manual control of a DSLR or dedicated astronomy camera will have more creative control over the types of shots available. Wide-angle nightscape images that include a large portion of the night sky including an eclipsed moon can be done using a DSLR and tripod. For a 30-second exposure, a tracking mount is not necessary. At a focal length of 18mm or wider, star trailing will begin to show after about 20-25 seconds, so just keep that in mind. To capture the stars and constellations in the night sky, an ISO of 800 or above is recommended. However, this exposure will likely record the eclipsed moon as a featureless ball of light. To properly capture both the starry sky and a detailed moon, you will need to capture exposures of varying lengths and blend them together into a composite image. This is because the moon is much brighter (even while eclipsed) than the surrounding starry sky. A composite image can be made be masking the area of your night sky exposure, and blending in a shorter exposure of the moon with surface details. This technique will take some time and experience to master, but the results can be amazing. I’ll share a few more astrophotography tips a little farther down the post. 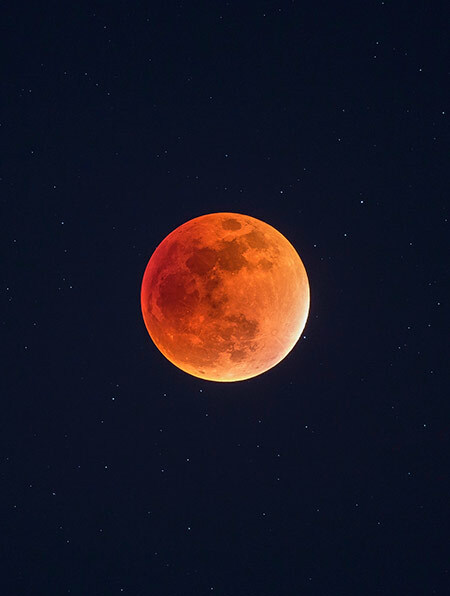 A telescope can provide an up-close view of the eclipsed moon, and will allow you to take pictures of the moon using your camera or smartphone. 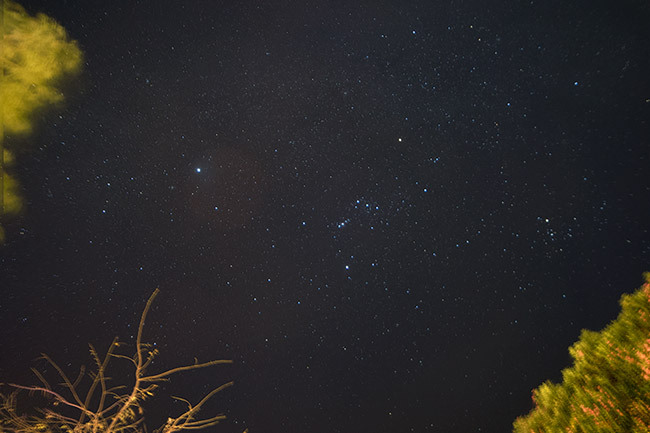 The prime focus method of astrophotography is best, as the camera sensors focal plane is aligned with the telescope. You can directly attach a DSLR camera using a T-Ring adapter to utilize the telescopes native focal length. The prime focus method requires that the telescope tracks the apparent rotation of the night sky to avoid any movement in your shots. To learn more about the process and equipment involved for deep-sky astrophotography, have a look at a typical DSLR and telescope setup. 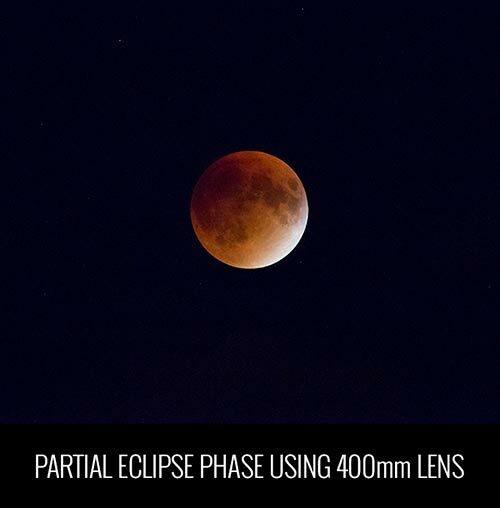 If your goal is to capture an up-close view of the moon during the eclipse, there are many benefits to this technique. A small refractor telescope will have the adequate amount of focal length (magnification), offer precision focus, and a stable base to attach to an equatorial telescope mount. To record the lunar eclipse with a DSLR camera, no filters are necessary. A stock DSLR camera is best as the additional wavelengths available with a modified camera are unused in moon photography. Without a tracking equatorial mount, a 2.5 second exposure like the one above is impossible. Even 1-second of movement at this focal length will record a blurry image if the telescope or lens is not moving at the same speed as the moon. The benefit of shooting a longer exposure during the maximum eclipse, is that you also record the starry sky behind the moon. To do this in a single exposure on a normal full moon is not possible as the dynamic range is too wide. A dedicated one-shot-color astronomy camera is more than capable of taking a brilliant photo of the eclipse as well. The computer software used to control these devices have countless options to control the Gain and exposure settings of theses cameras. For projects like this, I personally enjoy the freedom and simplicity of a DSLR. Camera settings such as ISO, exposure and white balance can easily be changed on-the-fly as the eclipse is taking place. A telephoto camera lens with at least 300mm of focal length will also work well. At longer focal lengths like the ones necessary for a close up of the moon, you must use a fast exposure to capture a sharp photo of the moon. This is because the Earth is spinning, so you’re essentially trying to photograph a moving target. The image below was captured using a Canon EOS 70D and a Canon EF 400mm F/5.6 Lens. The final stages of the partial eclipse phase are challenging to photograph because there is a bright highlight on a small portion of the moon. For the photo below, the camera settings included an ISO setting of 6400, and a shutter speed of 1/8. 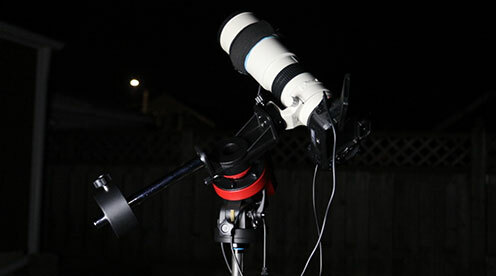 A tracking telescope or camera mount such as the iOptron SkyGuider Pro (pictured below) is recommended. An equatorial mount that is polar aligned with the rotational axis of the Earth will allow you to take longer exposures, and get more creative with your camera settings. 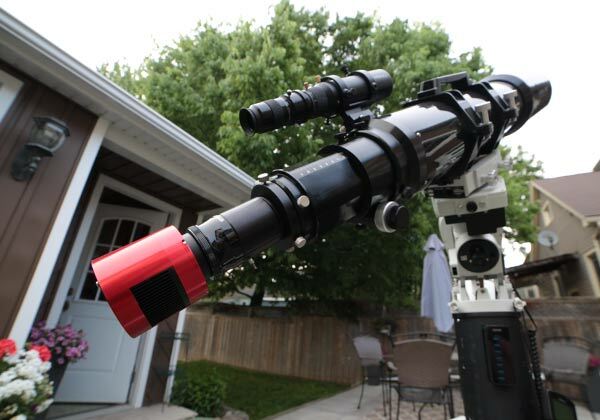 Owners of astronomical telescopes for astrophotography usually own a GoTo equatorial mount. This allows the user to enter any celestial object into the hand controller, and the mount will automatically slew to that object once it has been properly star aligned. The key to capturing details of the moons surface in your lunar eclipse photo is reach, and exposure. By this, I mean that you need enough magnification to show the detailed craters of the moon’s surface, and a fast enough shutter speed to not blow out any of the highlights in your image. To do this, a precise exposure length must be used. One that preserves the data in your image while also bringing enough of the shadowed areas forward is ideal. For my photos, I found an ISO of 200 and an exposure of 1/200 to work quite well. This was enough to showcase a starry sky behind the eclipsed moon. I use Adobe Photoshop to process all of my astrophotography images, including photos of the moon and our solar system. 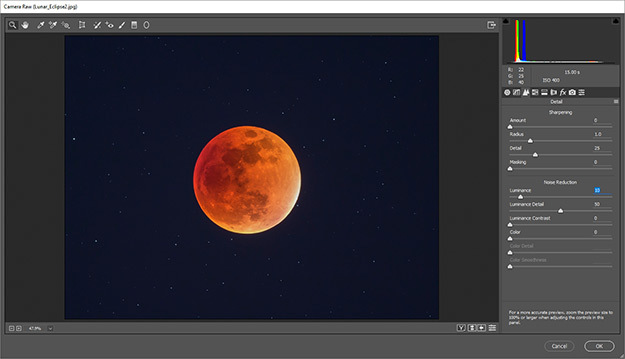 Adobe Camera Raw is a fantastic way to edit your images of the lunar eclipse because it gives you complete control over the highlights and color balance of your image. 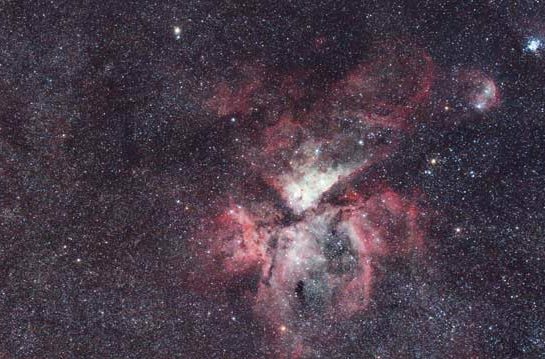 With the camera connected to the telescope (prime focus astrophotography), experiment with different exposures and ISO settings in manual mode, using live-view to make sure you have not under/overexposed the image. The shortest exposures will only be useful during the partial stages of the lunar eclipse, as the lunar eclipse is beginning and ending. As I mentioned earlier, this is a challenging phase of the even to capture in a single shot, as the shadows and highlights of the image are from one end of the spectrum to the other. When the moon enters totality, you will need to bump up your ISO, and/or your exposure length to reveal the disk of the moon as it becomes dimmer. Use a timer or external shutter release cable to avoid camera shake if possible. Ideally, you’ll keep the ISO as low as possible for the least amount of noise. With an accurately polar-aligned tracking mount, exposures of 2-5 seconds will work great. Another way you can photograph the moon is to use the eyepiece projection method of astrophotography. 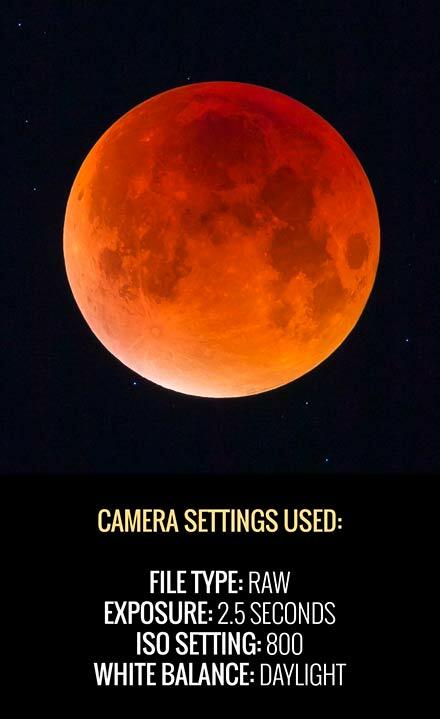 To do this, you’ll simply position your digital camera or smartphone into the eyepiece of the telescope. This method usually requires a far amount of trial and error, but you may be quite surprised with your results. An eyepiece smartphone adapter may help to steady your shot of the lunar eclipse. Although you’ll have much less control over exposure and record less detail, this technique can be used with a non-tracking telescope such as the Apertura AD8 Dobsonian I reviewed in late 2018. The moon is one of the few subjects that is easy to photograph with a non-tracking mount, although the transition phases of the eclipse will be more difficult. 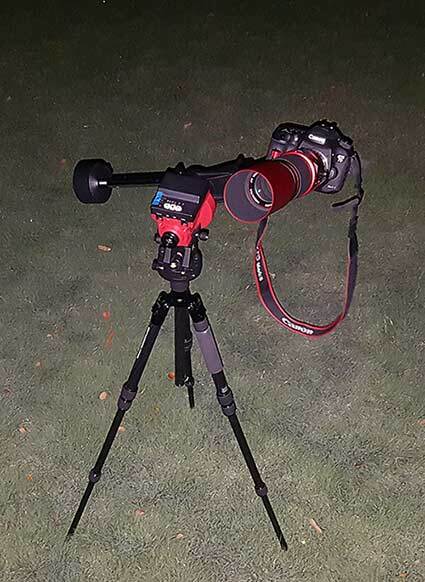 I recommend capturing the lunar eclipse during its maximum phase if you’re using this method. You likely won’t be able to capture a well-exposed image using the cameras auto-exposure mode. Experiment with your cameras manual settings that allow for variations in shutter speed. If you are simply using a point and shoot camera, or a DSLR and lens on a tripod, you can still take photo of the lunar eclipse. This is often a great way to capture the landscape and mood of the moment. The photo below was captured back in October 2014 using a CaDSLR Canon EOS 7D and a 18-200mm lens. The wide angle tripod shot was photographed at 18mm, while the inset image was captured at the lenses maximum focal lengh of 200mm. Just like I mentioned when using a phone camera, you’ll want as much manual control over the camera settings as possible. “Auto” mode, flash, and autofocus won’t work on a photo of the total lunar eclipse. Adjusting individual parameters such as exposure length and ISO is essential when photographing objects at night. Practice taking shots at night beforehand, so that you are ready when the eclipse happens. Ideally, find a location that includes some interesting foreground and background details to capture a dramatic scene on the night of the event. I hope you enjoy the total lunar eclipse in January with your friends and family. If the weather cooperates, I will be photographing the event from my backyard using a DSLR camera and telescope. 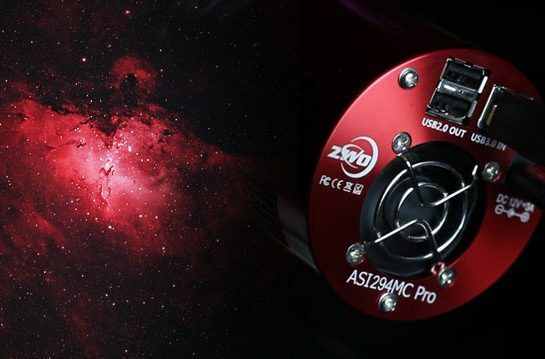 The ZWO ASI294 MC Pro is a remarkably capable one-shot-color CMOS camera for deep sky astrophotography. Whether you use it for broadband true-color images on a moonless night or ultra-long-exposure images using your favorite narrowband filter – this camera can produce insanely beautiful images. This is easily one of the best color cameras I have ever used for astrophotography, and my go-to choice for a night of deep sky imaging. Over the past 6 months, I have used this camera extensively through a number of telescopes in the backyard and beyond. 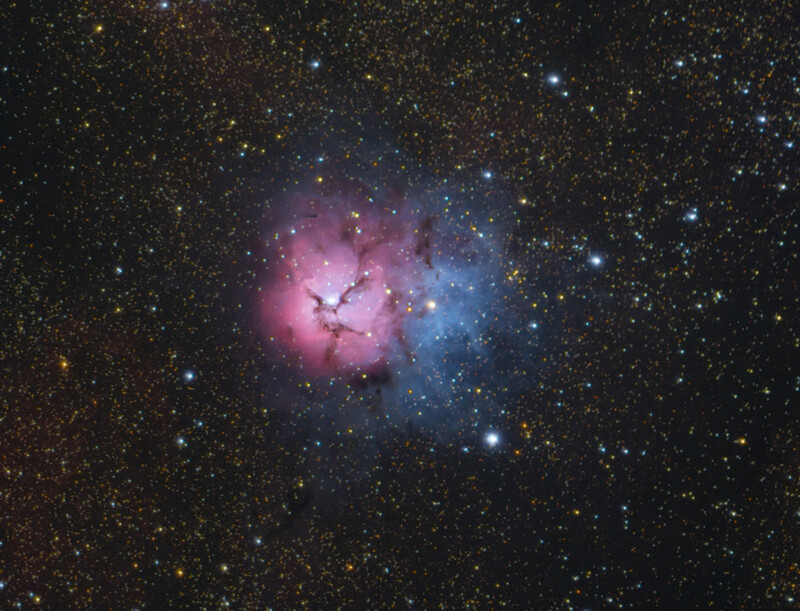 This photo of the Trifid Nebula was captured using the ZWO ASI294MC Pro with an Astromania Luminance filter (IR Cut) in front of the sensor. The photo was captured under the dark skies of the Cherry Springs Star Party in 2018. This incredible camera was loaned to me for review by Stephen Mallia of Ontario Telescope and Accessories. You can purchase the ASI294 MC Pro online from his website. I can safely say that I now know exactly what the ASI294MC Pro is capable of, and some recommended settings that you can use for a successful image. I’ve used this camera for both full-color images with light pollution filters, an IR cut filter and narrowband filters that separate certain wavelengths of light such as Ha and OIII. This OSC (One-shot-color) camera performs exceptionally well in both situations. 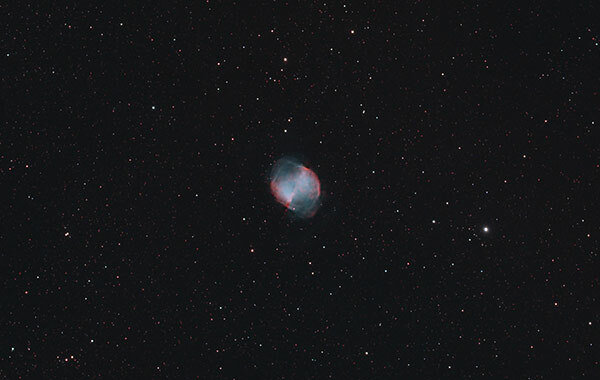 The idea of capturing narrowband images with a color camera is something that is generally advised against in the astrophotography community. This is because a color sensor will essentially record about one-quarter of the detail a mono camera would. The cheat code, however, is to use a color camera like the ASI294 MC Pro with a duo-narrowband filter like the STC Astro Duo-Narrowband filter. 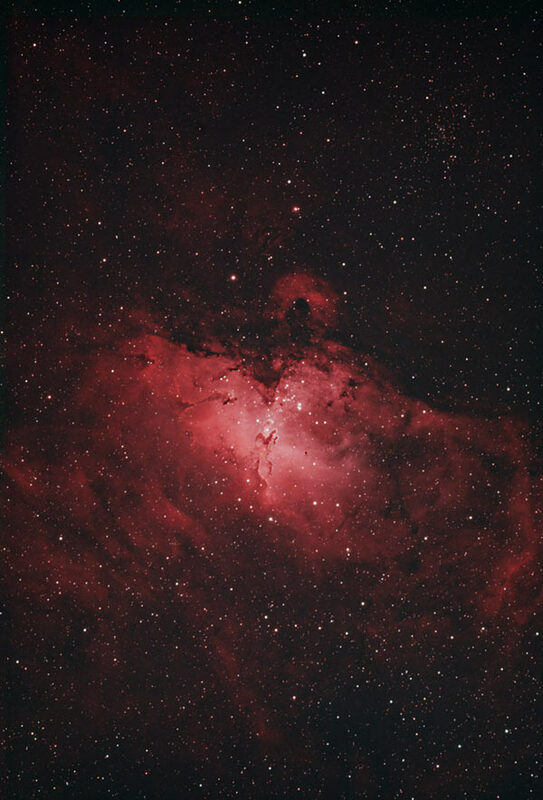 This has the power to build gorgeous deep sky images like the Eagle Nebula example below in a single shot. 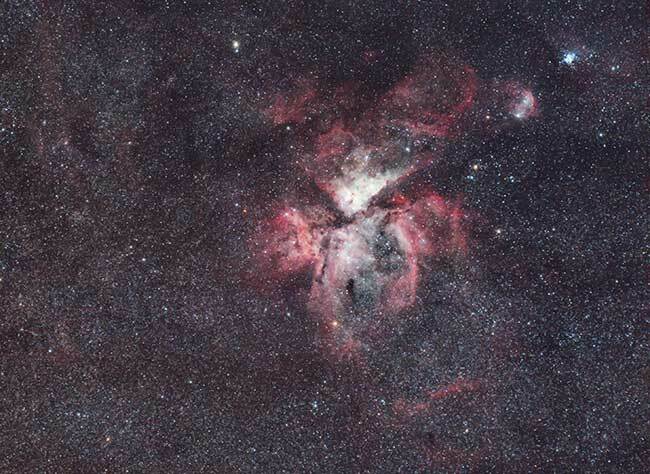 The photo above was captured in a Bortle Class 8 light polluted area (my backyard) using the ASI294 MC Pro. It showcases both Ha and OIII gases of this Emission Nebula (Messier 16) for some astonishingly detailed results from the city. This dedicated astronomy camera houses a high-sensitivity type 4/3 CMOS image sensor that supports 4K output at 120 frames per second. It’s a SONY 10.7 MP sensor that produces high-resolution 4144 x 2822 pixel images at its native resolution. I generally bin my images 2×2, so that just means that my photos are half of that size, in greater resolution. 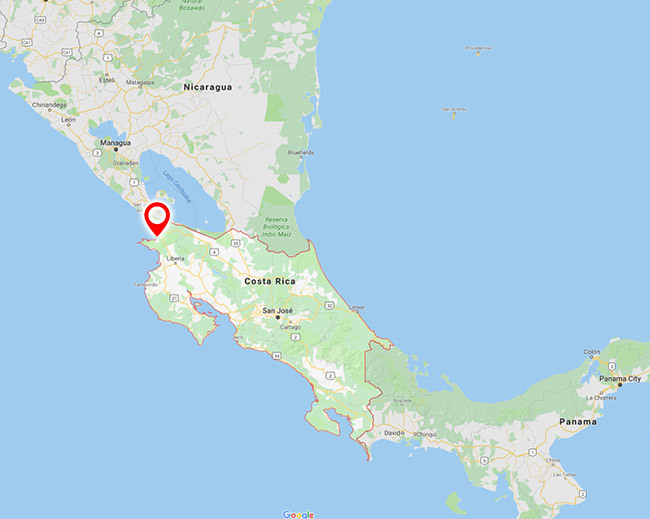 (smaller pixel size). The Bayer pattern of this color sensor is RGGB, which you’ll need to remember when selecting the camera in your image control software, and before stacking. This camera is well suited for color EAA astronomy (Electronically-Assisted Astronomy), as the ASI294MC Pro includes a 256MB DDR3 memory buffer to help improve data transfer reliability. 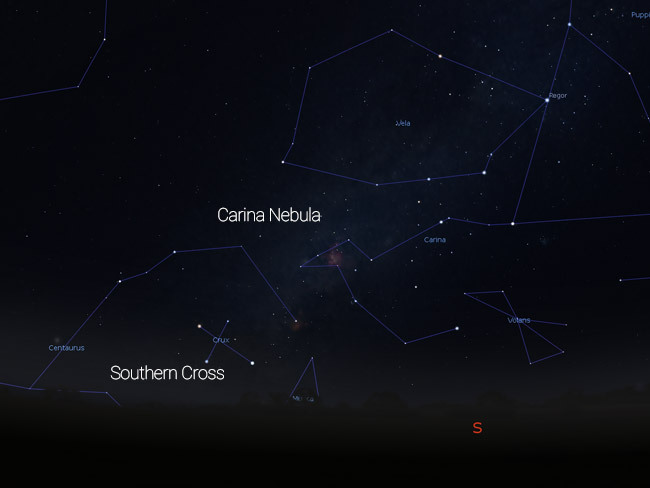 This is a great feature to consider if you plan on diving into this type of visual astronomy. You can benefit from the high sensitivity sensor to view more detail in a deep sky object in a “live” looping video feed. Because I am obsessed with collecting images, the only time I experience a glimpse of this feature is when I am framing my target! All of the Pro model ASI color cameras include the DDR3 Buffer technology which results in faster data transfer speeds and reduces amp glow. Each one of these cameras requires 55mm of back focus between the image sensor and your flattener/reducer. In the case of the Celestron 8″ RASA F/2, no field flattener is needed as this optical system is very flat to begin with. However, a new backfocus distance is needed between the camera sensor and the top surface of the lens group cell. To achieve the required spacing of 29mm for the RASA, I used a Starizona filter slider drawer to give me some added backfocus. When I began using color CMOS cameras like the ASI294 MC Pro, I could no longer use the camera control software I did with my DSLR’s (Backyard EOS). Instead, I use an application called APT (Astro Photography Tool), which allows me to control every aspect of the camera from the cooling temperature to gain. Upgrading from a DSLR to a CCD type astronomy camera like this is a big transition. For me, the hardest part was getting used to controlling the camera entirely with external software. The change in image file formats (from .RAW to .FIT was also a bit of a hurdle early on. 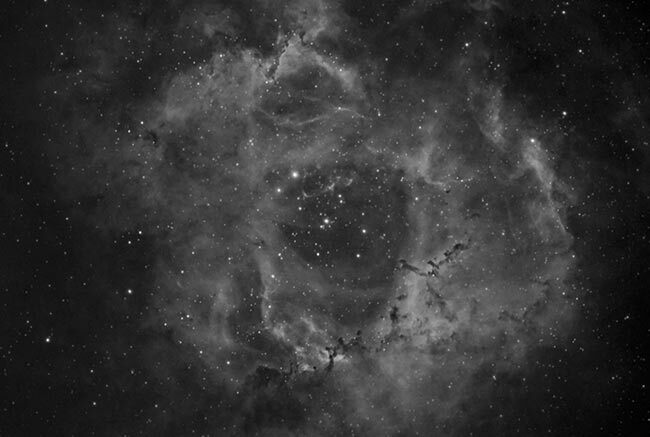 Luckily, DeepSkyStacker is well suited to stack and de-Bayer this image format into a high resolution .TIF file that you can process in Photoshop. The two-stage TEC (Thermo-electric cooling) is perhaps the biggest difference and advantage a dedicated astronomy camera has over a DSLR. As you may know, noise is a big issue to deal with when taking long exposures at a high ISO. I’ve battled with noise for many years (and continue to do so) when processing my astrophotography images taken with my Canon T3i and 5D Mk II DSLR’s. 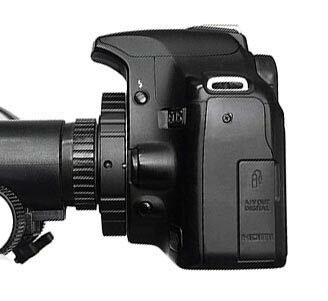 A cooled CMOS camera like the ASI294 MC Pro can cool its sensor down to 35 degrees below ambient. This results in images that are virtually free of thermal noise. I should mention that it’s important to understand that this means 35 degrees below the current temperature, so if it’s a hot 30-degree night, the camera will max out at -5 degrees. The pixel size of the ZWO ASI294MC Pro is a great match for many of my astrophotography telescopes. The pixel size of the ASI294 is 4.63µm, which is in the middle of the road for the ASI camera lineup. For comparison, the ASI183MC Pro has a sensor with a 2.4µm pixel size. So what does this mean for your astrophotography images? When using the ZWO ASI294MC Pro with the Celestron 8″ RASA F/2, I have a pixel scale of 2.38 which some consider to be “under-sampled”. Theoretically, under sampling can lead to blocky or pixelated stars in your image, although in reality I have never known this to be a noticeable problem (in any of my telescopes). Compare this to the Sky-Watcher Esprit 100, which provides me with a pixel scale of 1.73. The bottom line is, it’s worth calculating the pixel scale of your camera and telescope combo before making any big decisions. In my experience, the ZWO ASI294 is an extremely versatile choice for many telescope focal lengths. 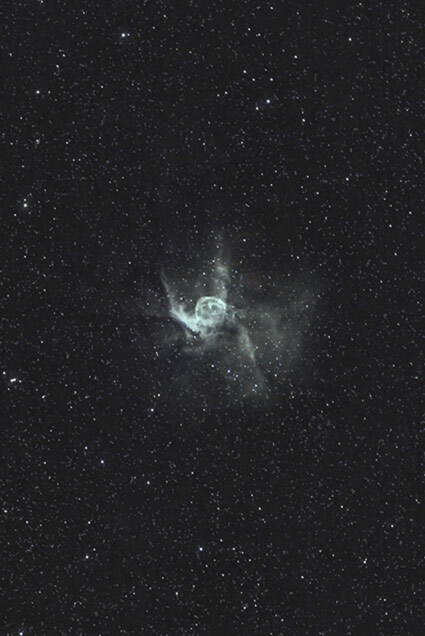 Thor’s Helmet – ZWO ASI294MC Pro with the Celestron 8″ RASA F/2. The camera is connected to my computer via a USB 3.0 cable. For the cooling feature, it also requires an external 12V power supply that does not come included with the camera. If you’re anything like me, you have accumulated a number of 12V adapter cables over the years. To keep things organized and convenient, I now connect the power port on the ASI294MC Pro to the outlets on my Pegasus Astro Pocket Power Box. This means that the camera and telescope don’t have another power cable running to an outlet. It all rides atop the iOptron CEM60 equatorial mount. The camera is controlled using APT, which required the appropriate drivers from the ZWO ASI website. Installing the driver is painless, and then the “ASI camera” selection will appear from the drop-down menu the next time you connect the camera to APT. The cooling function is set using the “Cooling Aid” within Astro Photography Tool. It can take a few minutes to get the camera sensor to the temperature you want it. It’s best to get a head start on this process so you’re not waiting around when it’s time to shoot. I love how sensitive the SONY IMX294CJK sensor is on this camera. The dynamic range of this camera sensor is listed at 13 stops. This is even more than the legendary AS1600 camera from ZWO. This characteristic is thanks to the built-in 14bit ADC (analog-to-digital converter) unit on the 294MC Pro. If you’re wondering what the difference is between the MC-Cool and MC-Pro cameras from ASI are, it’s the DDR3 memory buffer. For non-tech-heads (like myself) this basically means that the camera can transfer data faster and more efficiently. It also reduces amp glow because this artifact is primarily caused by slow transfer speeds. 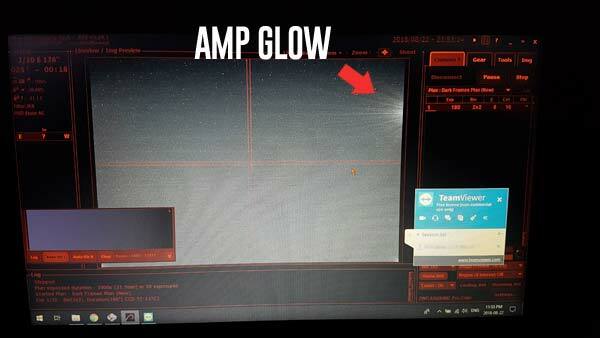 Here is what the amp glow looks like on a single image captured with the ASI294MC Pro. The amp glow is completely removed after stacking the images with dark frames in DeepSkyStacker. I find that the best camera settings to use with this camera are to set the gain at “unity gain” and an exposure length of 3 to 5 minutes. This, of course, depends on the deep sky target you are shooting, and the filters being used with the camera. For example, using a narrowband filter such as a 12nm Ha, I would choose an exposure length of at least 5 minutes. I even shot some images that were as long as 10 minutes with this camera. The photo below shows the Rosette Nebula using a stack of 20 x 10 minutes exposures using the ASI294MC Pro and an Astronomik 12nm Ha filter. Because the sensor is so sensitive, I can often find my deep sky target in a 2-3 second exposure in live loop mode. This is usually with a strong narrowband filter in front, which is quite impressive. This makes framing the target much easier because you’re able to see the shape and orientation of the DSO (almost) in real time as you adjust the telescope. If you compare the ASI294MC Pro vs. the ASI071MC Pro, you’ll find that the price is significantly more affordable for the 294. I’ve used both of these cameras (The ASI071 camera was the older non-pro “Cool” version), and the image results are remarkably comparable. The biggest difference between the two cameras is, of course, the sensor itself. The sensor in the AS071 is a 16MP APS-C sized chip, while the ASI294 is a four-thirds 10.7 MP sensor. This changes the pixel scale of your images and thus the apparent size of the objects you’ll capture through your telescope. For APO refractors in the 700-1000mm range, the pixel scale of the ASI294 MC Pro was the absolute perfect size for some of my favorite deep sky targets like the Eagle Nebula and Pelican Nebula. I used a Starfield 0.8X reducer/flattener with this camera and the various refractor telescopes I used when imaging deep sky objects. 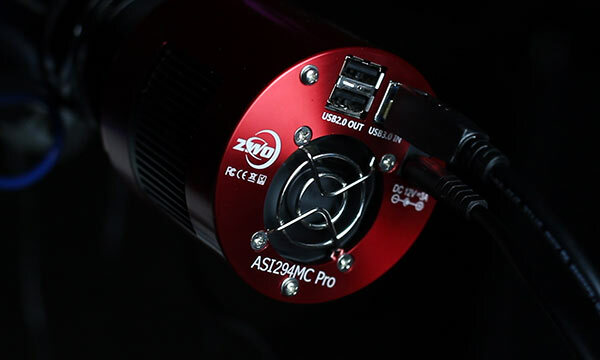 If you’re looking to upgrade your DSLR or current color astronomy camera to the realm of “cooled” CMOS sensors – my results with the ASI294 MC Pro should help you make a more informed decision. I highly recommend the ASI294 MC Pro camera if you are in the market for a color astrophotography camera with some serious power and versatility. 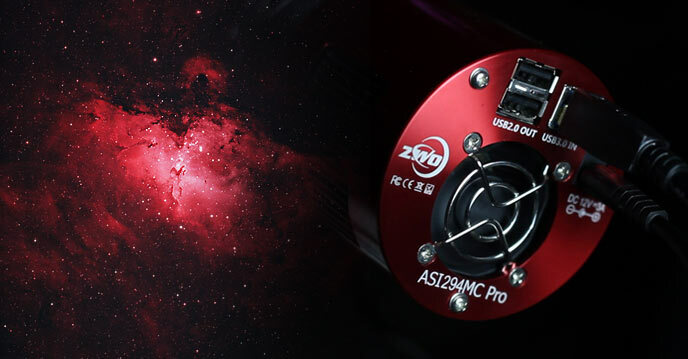 The ZWO ASI294MC Pro is available Online from Ontario Telescope and Accessories. I hope you enjoyed this review! If you’d like to stay up to date with all of the future posts on AstroBackyard, please sign up for my newsletter. I am happy to report that the journey was one of the best decisions I’ve made in a long time to advance my progress in this incurable addiction we call deep sky astrophotography. 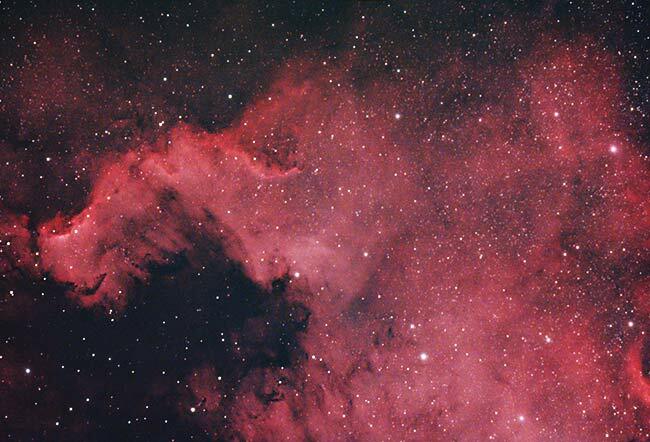 As I write this – my camera is recording impressive unguided 2-minute images of the North America Nebula using the new PC. The new computer has inspired me to bring my old equatorial mount out of retirement, and the above photo proves she can still hold her own. (unguided!) But first, let’s take a step back and look at how I got here. 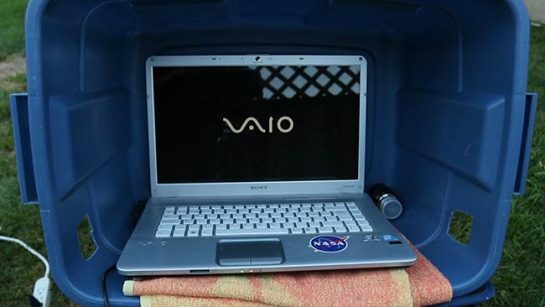 The computer I’ve used for astrophotography until now was a Sony VAIO with USB 2.0 ports, 2GB RAM, and a severely outdated processor. With new astrophotography hardware products hitting the market that demand faster and more capable machines, I knew the old Sony’s days were numbered. The most recent of these products being the impressively small and powerful Pegasus Astro Pocket Power Box. I had some issues connecting to the device early on that I am convinced are related to my aging computer with USB 2.0 ports. The USB drivers are a complete mess on this old laptop. I probably could have wasted a few more nights under the stars troubleshooting the issue, but instead decided to channel the experience as a catalyst for a new machine. I should state this right out of the gate, so there is no confusion about this post. The computer I recently upgraded to is for controlling my camera and telescope mount, not for processing deep sky images. The computer I’ll be discussing in this post is destined to spend countless nights next to my telescope. It needs to be lean and mean, so I can rely on it produce consistent astrophotography images with my equipment. It must be able to withstand the elements and connect to all of my current and future imaging cameras and devices. 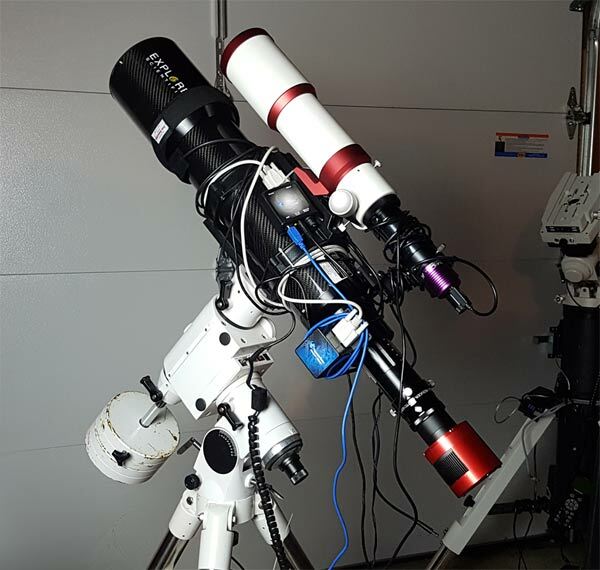 A truly efficient computer for astrophotography will ideally only have the essential applications needed for camera and telescope control installed. A jack-of-all-trades machine that includes image-editing software, multimedia, and other unnecessary applications can slow down PC performance and introduce potential headaches. The perfect astrophotography computer should be a no-nonsense PC with only one purpose, to reliably control your telescope and collect images. 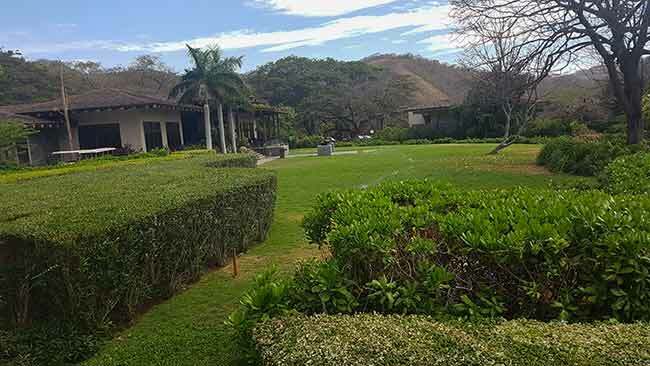 In this post, I’ll do my best to compare the most popular choices against the solution I ended up pulling the trigger on. 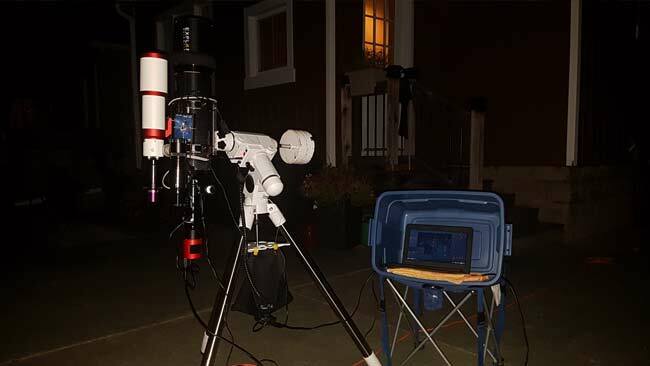 In July of 2018, I reached out the AstroBackyard Facebook community for advice on a new PC to control my telescope mount and camera. The popularity and availability of portable “Mini PC’s” piqued my interest, but the thought of not having complete control of the device accessible at all times raised a few questions. What are the advantages of a “stick” PC for astrophotography? How do I Install and update software on a mini PC? What are the advantages of a dedicated astronomy control unit? Needless to say, I had some serious decisions to make about the way I will be controlling my imaging sessions over the next few years. After some great advice, I began leaning towards a high-end Intel Mini Compute Stick. Naturally, I loved the portability and size of this option, as it’s hard to imagine getting an astrophotography computer smaller than a pack of gum. The ASUS VivoStick and the Intel Compute Stick are 2 popular “mini PC” options for running the Windows operating system. Raspberry Pi mini computer systems are also quite popular, but I won’t be covering these as I don’t have any experience using one for astrophotography. The Intel Compute Stick (pictured below) had the most attractive options for someone in my position. The model I was drawn to included a pre-installed copy of Windows 10, 4GB of RAM and an integrated wireless adapter. These specs already topped those of my previous imaging laptop at the size of a USB drive. However, the price tag of the high-end CS325 model competed with laptop computers with similar specs (that include an integrated keyboard and mouse). I understand that the power and convenience of such advanced technology in a small size comes at a premium. 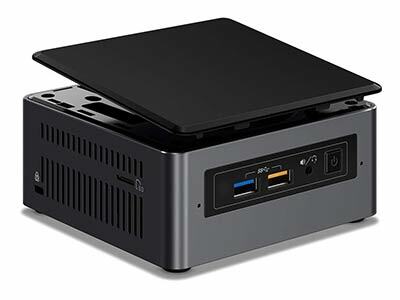 The slightly larger Intel NUC mini PC was referred to me by several happy customers, but again, the price tag is steep if you’re looking to get the model with high-end specs. The Core i7 version I was interested in included SSD/HHD bays but did not include any onboard storage out of the box. My need for a new computer to control my astrophotography sessions was instigated by outdated hardware, not a desire to reduce the size of my imaging footprint. 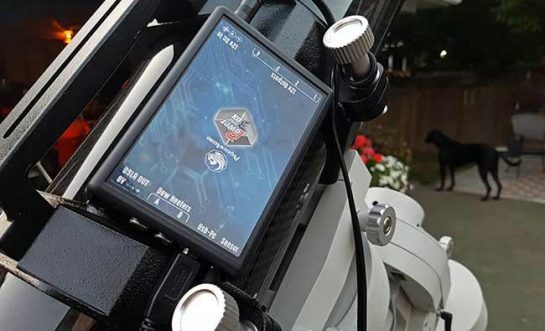 A number of astrophotography control computers have hit the market over the past few years, with the Prima Luce Labs EAGLE Core becoming a household name. (Well, in my household anyway). The ASIair is another interesting computer control option, and another product I first saw mentioned at NEAF. 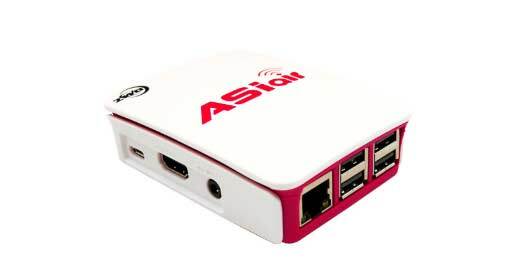 The ASIair can autoguide, plate solve, and of course capture images. It’s extremely small. What I found interesting about this option is that ZWO specifically mentions that the ASIair was designed for wide-field astrophotography. 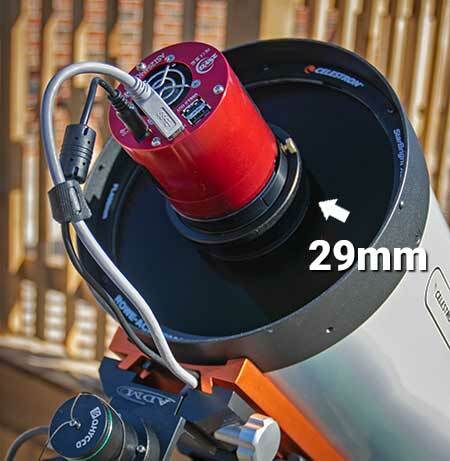 In all of their demos and product images, they show a compact APO refractor on a GoTo mount. I’ll keep an eye on this one as it is a brand new product at a reasonable price. I know there is a huge market for these types of units and I expect future iterations to follow. After digesting all of the helpful information provided by vendors, peers, and fellow imagers, I finally landed on a decision to control my equipment I could live with. I had a clear vision of the best astrophotography computer for my needs. Another Laptop. Perhaps I am just too stuck in my old ways to embrace the incredible new solutions available for deep sky astrophotography. Or maybe I just like the thrill of a great deal. 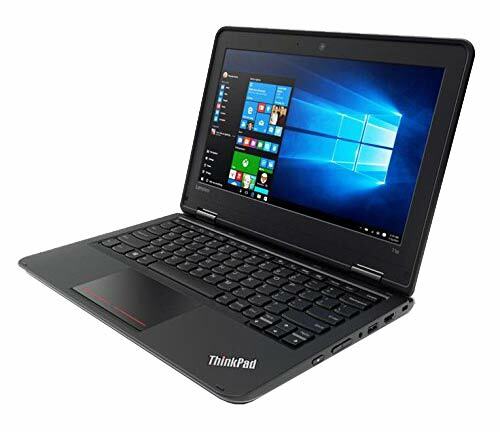 The replacement for my beloved old Sony VAIO laptop is a Lenovo ThinkPad 11e. Just a quick note, this is an older generation model that has since sold out, but the link listed is the closest comparable model I could find. As cutting edge and impressive as the Intel NUC and Compute Sticks are, the lack of integrated display and steep price tag lead me to explore more options. I enjoy controlling my mount from inside the house on Team Viewer as much as the next guy, but I also want to be able to have complete control over each software tool while sitting next to my rig. When I found a no-nonsense laptop with speed and performance in a small package on Amazon, I pounced. 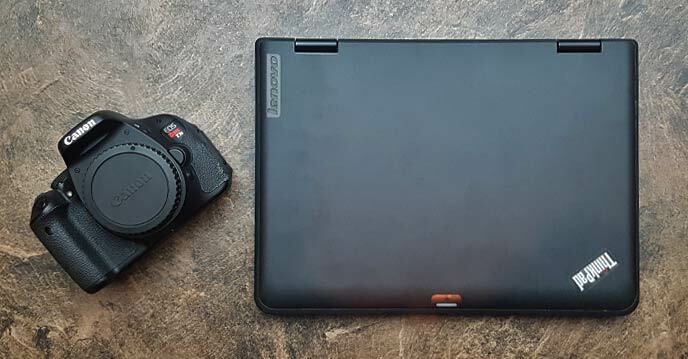 The Lenovo ThinkPad 11e has a 128 GB Solid-State Hard Drive – which means there is no fan to make noise or fault in the extreme temperatures of my backyard. It also boasts a respectable 8GB of RAM, an Intel Celeron N2920 processor and an internal wifi adapter. All this in a highly portable 11.6” package – for $250 (CDN). The model I ordered was certified refurbished – which certainly helped reduce the price. With a clean slate on a Windows 10 machine, it was time to download each and every software tool I use for astrophotography. 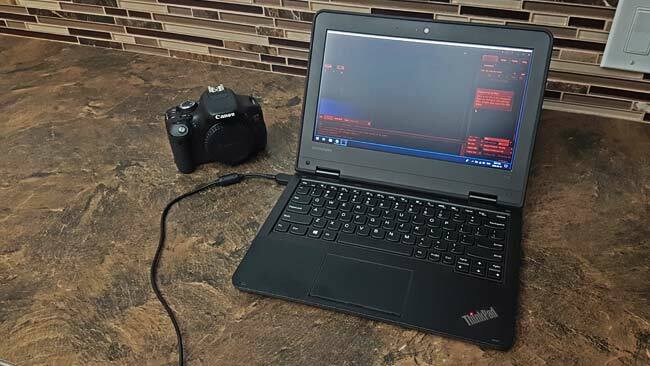 This proved to be a great opportunity to share the current software tools I use for camera and telescope control, as I had to reinstall each and every application on a brand new laptop. 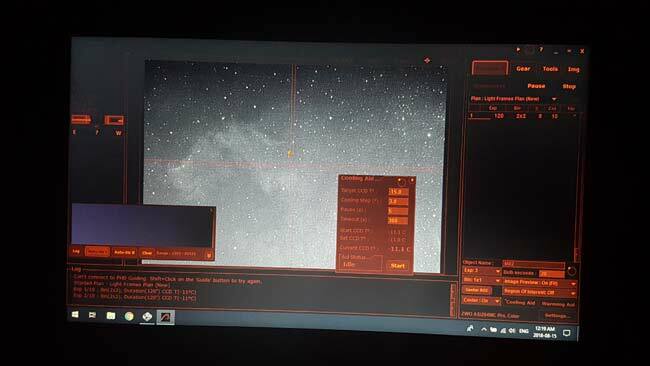 To summarize, the new laptop will control virtually every aspect of my deep sky imaging sessions using APT, PHD2 and the Pegasus Astro software. My early tests using the Pocket Power Box have been promising. So far, I’ve utilized the temperature sensor, onboard 12V outlets, and even the dew heater controllers. My goal for the remainder of this year is to get my imaging rigs organized in an effort to save time. With new telescopes and cameras to test and review each month, I have grown tired of scrambling to make things work under the pressure of a rare clear sky. I’ll have two rigs ready to go that can be controlled using the new Lenovo laptop. Here is the new computer in use for an imaging session on the North America Nebula. I’ve still got some bugs (and cable management) to work out on my “ready for anything” rig that involves the Sky-Watcher HEQ5 equatorial mount and Explore Scientific ED 102 telescope. This setup includes the Pegasus Astro Pocket Power Box and Motorized Focuser. This kit will be deployed for wide field deep sky astrophotography on nights when lugging the big CEM60 and a large telescope isn’t possible. I captured 26 minutes of unguided subs on the Lenovo ThinkPad 11e laptop with this rig as a test to make sure everything was working properly. The bottom line is, invest in the type of imaging control solution that works best with your style and equipment profile. For example, if you have a highly-automated imaging setup in a permanent observatory, an onboard mini PC connected to a wifi tablet is probably the most convenient option. 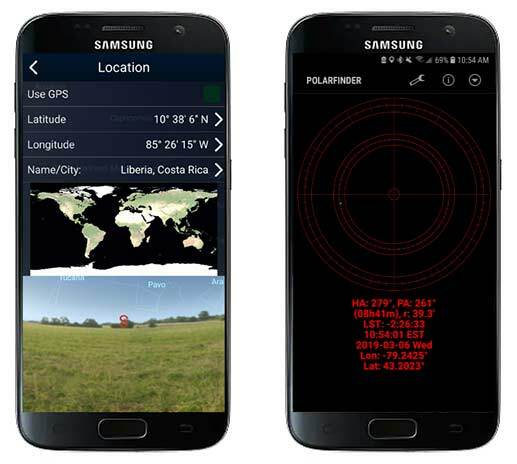 The EAGLE Core and ASIAIR offer an impressive user experience for amateur astrophotographers that want to control everything from their smartphone. 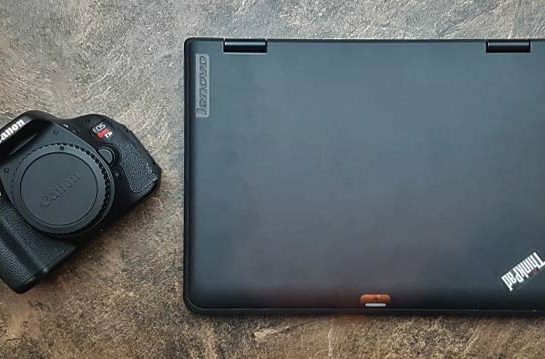 This option may seem like the obvious best choice, but for backyard astrophotographers without a permanent setup like me, it’s nice to have the practicality of a traditional laptop computer. I spend a lot of time outside with my rig while it’s running. It will be interesting to see if the new mini PCs and dedicated control units like the EAGLE Core are the preferred choice for beginners getting into the hobby. Anything that can streamline a complex and involved process is sure to be a hit with consumers. Having been in this game for nearly a decade, I guess you could say I’m “old school”. If you’ve used a mini PC or any of the specialized astrophotography computers mentioned in this post, please let me know how it’s working for you in the comments. 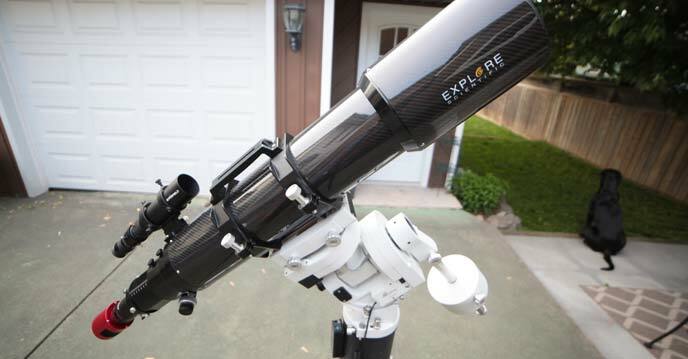 I am thrilled to tell you that I recently got my hands on a brand new Explore Scientific ED140 CF APO Triplet Refractor. If you’ve been following AstroBackyard for some time now, you’ll know how I feel about APO refractors in terms of astrophotography performance. 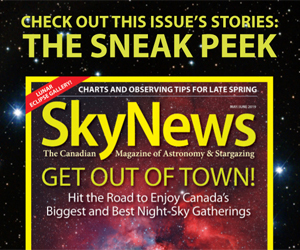 I won’t tell you that you need a 140mm refractor to enjoy deep sky imaging, because that’s simply not true. Instead, look at my experiences with this telescope as a window into the possibilities that await you in the future. 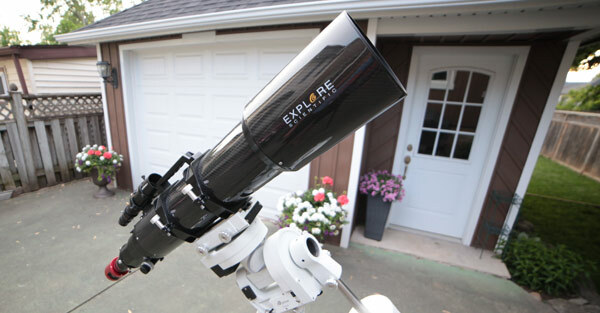 By the time you have outgrown your little astrophotography telescope, maybe you’ll consider stepping up to the stunning Explore Scientific ED140 triplet apochromatic refractor. I met up with the team at Explore Scientific last month at NEAF – and they asked if would try out their new ED140. Would you turn an opportunity like that down? In the video above, you’ll see me use the ED140 to capture a deep sky astrophotography image from my backyard. I decided to choose a target that could be completed in one night, using a one-shot-color camera. The great globular cluster in Hercules (M13) is a fitting choice for an incredible telescope like this, and the first globular cluster I’ve ever shot on my YouTube channel. Before I get into the details of this giant APO, I’ll provide a little bit of backstory. 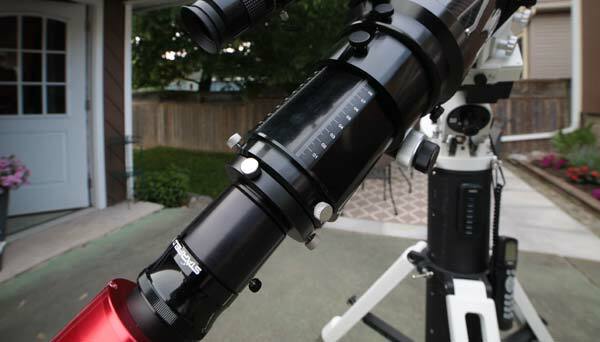 Back in 2011, I started using an Explore Scientific ED80 F/6 refractor. For many years, I was thrilled with the images I was taking using the ED80 and a DSLR camera. If you like shooting wide-field targets such as the North America Nebula, the Andromeda Galaxy or the Pleiades, a small apochromatic refractor telescope like this is a superb choice. 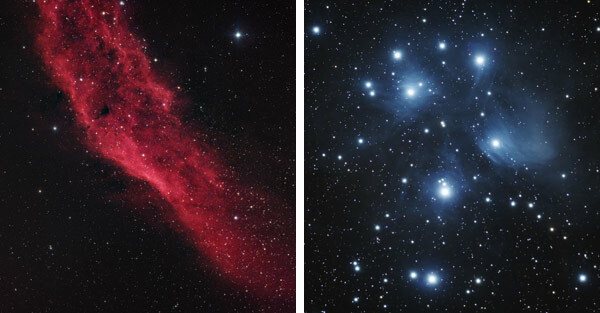 My early deep sky images using an Explore Scientific ED80 Triplet APO. The only thing you’ll be missing out on with a small telescope of this size is the visual observing power and increased magnification that comes with an instrument with a larger aperture. A refractor in the 60-100mm range generally offers an extremely wide field of view, which is great most of the time. If your primary interests lie in objects that require high magnification and light-gathering ability such as planets, you may want to think about a larger telescope. Photographing small galaxies, globular star clusters and solar system targets are not a small APO’s strong points. The lack of chromatic aberration, coma or need for constant collimation make the refractor design my absolute favorite type of telescope design when it comes to deep sky astrophotography. However, to get the extra light gathering power found in larger telescopes, expect to pay a lot more per inch of aperture. A large refractor like the Explore Scientific ED140 not only offers the image quality and performance APO owners expect but also the reach and resolving power needed to capture planets and smaller deep sky objects. 5.5″ inches of aperture gives you the light-gathering power needed to soak in the delicate fine details of objects in space. In my opinion, you can’t fully appreciate the additional aperture from a telescope like this without gradually working your way up in size. As I mentioned, I’ve had the pleasure of taking astrophotography images with many sizes of refractor telescopes – everything from a 61mm telescope to a 132mm. This has given me with some practical perspective about the difference extra aperture makes when it comes to astrophotography. The Explore Scientific ED140 CF Triplet APO now holds the title of the absolute biggest refractor telescope I have ever used for astrophotography. The first thing I noticed when I picked up the box, was how light it was. 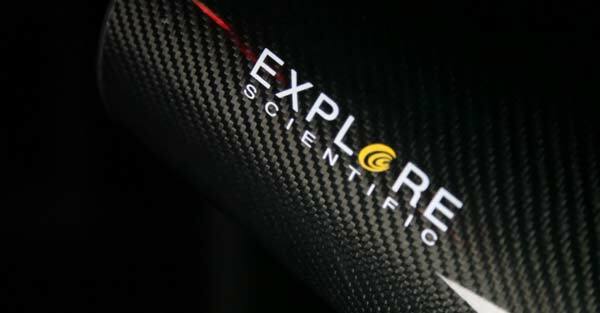 The Explore Scientific ED140 is noticeably light for its size, no doubt due to its carbon fiber construction. Despite being 8mm wider in aperture, this telescope is roughly the same weight as the William Optics FLT 132. The Carbon fiber tube doesn’t sacrifice strength for a lighter payload either. This versatile material is extremely strong and is also said to compensate for temperature fluctuations better than a steel tube. 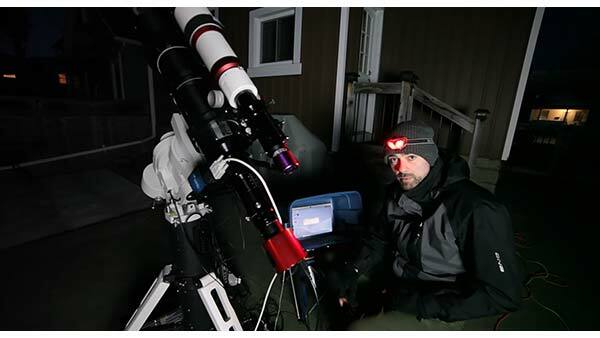 With my gear staying outside in a non-insulated garage – I’ve never really had any issues waiting for my telescopes to cool down/warm up. However, I understand that this is something to consider for many amateur astrophotographers. I’m a big fan of the way this telescope looks, and not just because it matches my ED102. For those that appreciate aesthetics, the finish on this instrument is a real head-turner at star parties. As I have mentioned in the past, the accessories included with astrophotography telescope packages vary widely. Some will include everything from a dedicated field flattener to the guide scope, while others may not even include the mounting hardware and sell the optical tube on its own. The Explore Scientific ED140 F/6.5 APO Triplet includes some impressive extras in their standard package. The first thing you’ll notice when you take this giant telescope out of the box is that it comes with a heavy-duty hard carry case. This looks identical to the case that came with my Explore Scientific ED102 CF – which has come in very handy when traveling with the scope. This case was rugged enough to get packed into my trunk with lots of heavy camping gear on top. 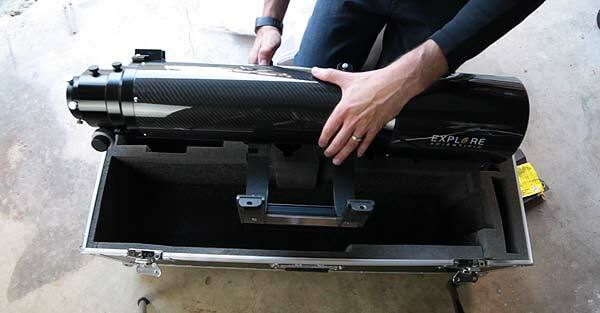 The carry case comes with a thick padded-foam insert that holds the ED140 securely. 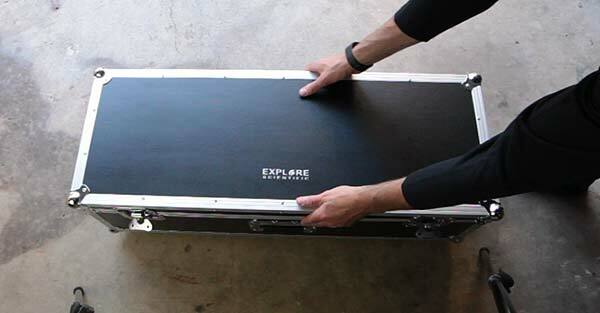 For those planning on traveling with the ED140 – this case is TSA approved. 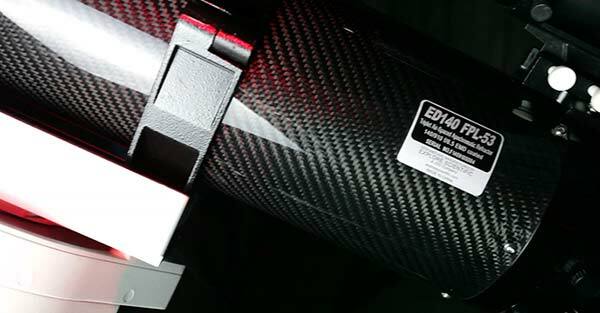 The ED140 telescope includes an Explore Scientific branded 2″ diagonal in the hard carry case. A diagonal reflects the image through the telescope on a 90-degree angle to provide a more comfortable experience using an eyepiece. 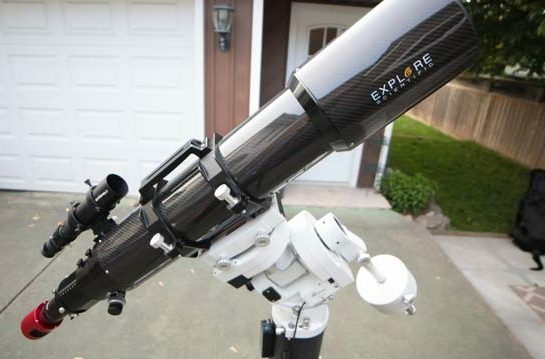 This is an essential accessory for anyone who plans on using this telescope for visual use. I have only ever used one diagonal before this one, and it was also an Explore Scientific “99% reflective” model. I must admit, I have not taken the diagonal out of the case yet, nor have I used the Ed140 for any visual observations yet. 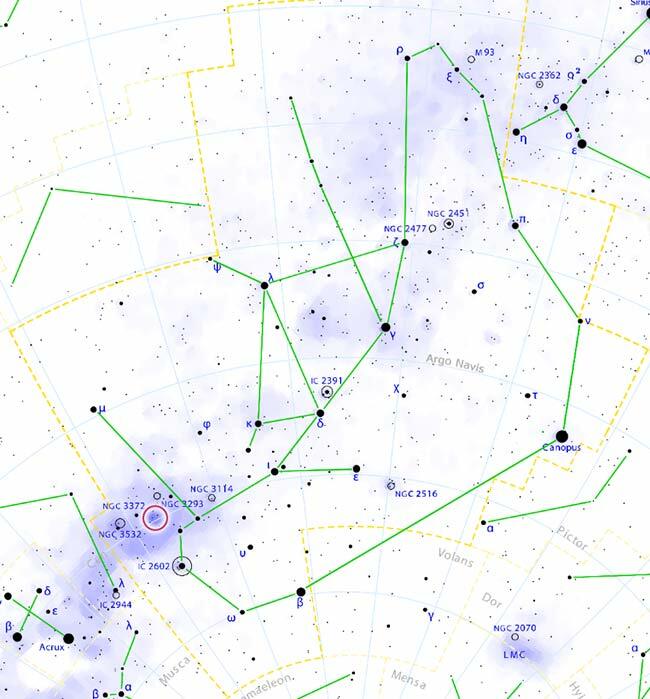 In terms of visual performance, the large aperture and fast focal ratio (F/6.5) of this telescope mean that impressive views of both deep-sky objects and solar system objects are possible under the right sky conditions. It’s not clear how long I’ll have this telescope for, but I’d love to test it out under the dark skies of Cherry Springs State Park next month. The 3″ hexagonal focuser is big and rigid, which is what you’d expect on a telescope of this size and price point. No doubt, most will use the ED140 will primarily be used for astrophotography, so it’s reassuring to know that Explore Scientific rates this focuser at a 10-lb payload. My camera gear is nowhere near that weight, but owners of large CCD cameras and filter wheels will appreciate this payload rating. With the ZWO ASI294MC-Pro camera attached, I was easily able to find focus using this ultra smooth 10:1 dual speed focuser. Once locked, there is no “play” in this focuser. Meaning, no surprises while imaging due to the focuser shifting or jarring the camera. Mounting the ED140 is easy due to the included cradle rings and Vixen-style dovetail plate. I really like this design, and it’s the same mounting style used on the 102mm version. 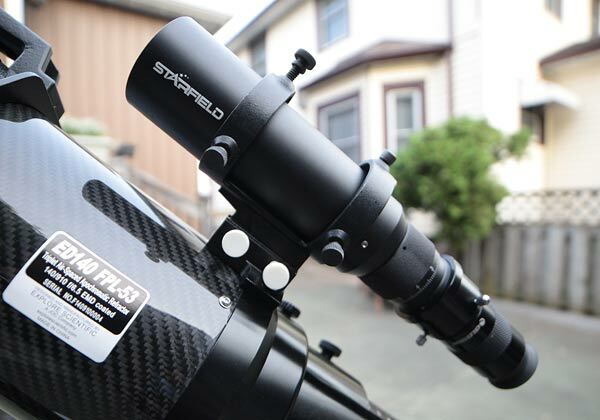 Aside from making the telescope easier to manage, the handle portion is a great spot to mount an additional finder scope, center the guide scope, or attach a ball head and camera lens. In the past, I’ve mounted a DSLR camera and heavy 300mm F/4L lens to the handle of the cradle rings. The 1/4″ channel running through the middle makes it easy to fasten additional gear to it. The integrated dew shield is large and stays secure. It’s quite stiff and tight, which I like. I can be confident that the dew shield will not slowly slip down the tube when the telescope is pointed upward. Currently, there is no dedicated field flattener for the ED140 APO. The team at Explore Scientific has assured me that a dedicated flattener/reducer will be available for this telescope soon. I plan to try out my 2″ StarField 0.8X flattener/reducer on this telescope to see if it’s a good fit. Upon opening the locking case, you may notice a lack of finder/guide scope with this package. I feel that most folks looking to upgrade to the ED140 CF will already have an existing guide scope, so it wouldn’t make sense to pay for another one as a part of this package. Thankfully for me, the ED140 came with a pre-installed base (saddle) for a finder/guide scope. This means I don’t have to look for any additional mounting rings or add any extra hardware to the scope. I’ve been able to use the Explore Scientific finder scope mount from my ED102 on this telescope. If you don’t already own this specific style of mount, you’ll need to order one. It’s a bit different than a traditional Synta-style saddle that you’ll find on the Orion branded products. Inside this mount, I’ve installed a 50mm Starfield guide scope. This is a compact, lightweight and wide field guide scope that pulls in numerous guide stars for autoguiding purposes. 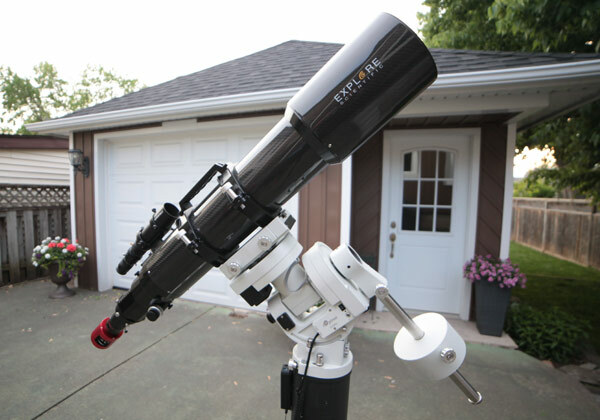 Ontario Telescope sells this guide scope as a package with the Altair GPCAM2 camera, making for a very convenient and complete autoguiding combo. I haven’t talked about the StarField guide scope I’ve been using a lot lately, but I will in the near future. I will say that I’ve got 50 and 60mm versions that both do an excellent job of autoguiding when used with the Altair GPCAM2 mono guide camera. The most impressive feature of this refractor has to be the Ohara FPL-53 extra-low dispersion ED glass used in its triplet optical design. This is a top of line material and considered the best glass ever produced by Ohara. The company mentions that the FPL-53 glass used in the Explore Scientific ED140 is very similar in characteristics as Hoya FCD-100. I’ve received numerous questions about the differences between the FCD-100 versions of the Explore Scientific telescopes and the original Hoya extra-low dispersion glass versions. My ED80 and ED102 both used the original Hoya glass, and making a defined difference in image quality between these telescopes and FPL-53 is difficult. A refractive index comparison is needed to tell the subtle differences in these materials. 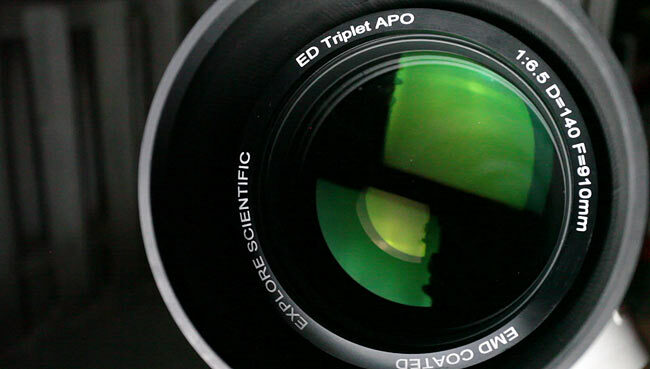 The bottom line is, the glass used in the Explore Scientific Triplet series APO’s have always produced incredible astrophotography images, and now they’re better than ever. FPL-53 is perhaps the finest glass you’ll find in a refractor telescope with characteristics closely related to pure fluorite. The Meade 70mm Quadruplet APO and the William Optics Z61, Z73 and FLT 132 all use FPL-53 as well. This is a true diffraction-limited optical design that virtually eliminates chromatic aberrations and produces high-contrast images. This Explore Scientific telescope also utilizes proprietary EMD enhanced multi-layer coatings on all optical surfaces. The focal length of the ED140 is 910mm. So, a great mid-range magnification at prime focus, perfect for most nebulae and the larger galaxies. My favorite emission nebula targets such as the Omega Nebula and Lagoon Nebula are the perfect size for this focal length. The lack of a dedicated field flattener/reducer at this time means that I am forced to find a workaround if I want sharp stars to the edge of the field. My crop-sensor (APS-C) sized DSLR and astronomy cameras (ZWO ASI294MC-Pro, Altair Hypercam 183M) have relatively small sensors, so this is less of an issue. 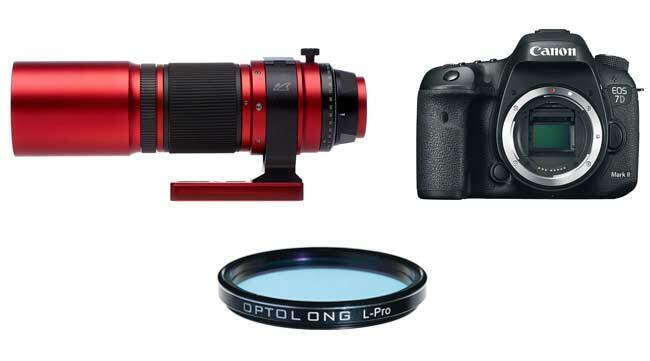 Full-frame camera owners looking to utilize the full imaging sensor size will definitely need a solution from Explore Scientific to fully enjoy this telescope. The ED140 is about 20 lbs, so a robust equatorial mount such as the iOptron CEM60 is needed to use a refractor of this size for deep sky astrophotography. During my first imaging run, I had tremendous success using the Starfield 50mm guide scope package for autoguiding. Those looking for a plug-and-play autoguiding solution should certainly give the Starfield / GPCAM2 combo a look. Just remember that you’ll need an Explore Scientific style finder mount to attach it to the base. My “first light” with the Explore Scientific ED140 was a huge success, and that’s not always the case with a brand new telescope. This speaks to the reliable and painless experience a refractor telescope like this provides to amateur astrophotographers. The ZWO ASI294MC-Pro turned out to be a great fit with the ED140 – with only the very edges of my image frame showing elongated stars (even without the use of a field flattener). 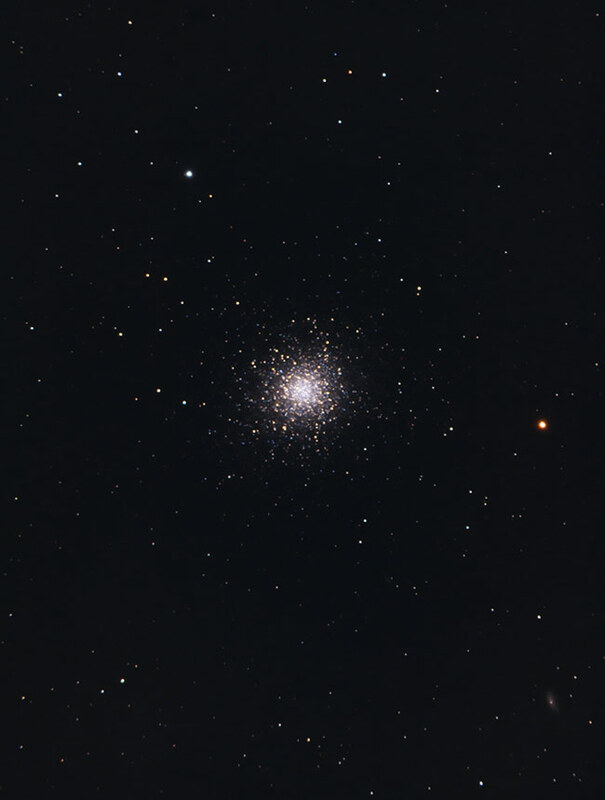 The broadband RGB image of M13 I captured was a pleasure to process, and clearly showed the difference the added aperture makes when it comes to astrophotography. The combination of longer focal length and extra light-gathering power resulted in my best version of the Hercules globular cluster to date. This image uses 2 Hours and 9 minutes (129 frames) worth of total integrated exposure time using a ZWO ASI294MC-Pro Camera. This image uses 3 Hours and 3 minutes (61 frames) worth of total integrated exposure time using a ZWO ASI294MC-Pro Camera.